Our ageing population; one more reason to change the Government. I’ve just been lucky enough to sit through a lecture on population ageing with Natalie Jackson. It was absolutely fascinating. Here are a few of the points that she stressed. Population ageing is not simply about the increase in the number of people over 65; it’s about the increasing proportion of people over 65. Not to labour the point – the following graph shows that in the 50s there were more young people than older people, and that as time is passing more people are living longer and fewer children are being born. As a result more health services will be needed, and there will be fewer workers to provide the services, tax and support for the retired. As you can see in the graph below, from 2001 we will be slightly more protected for a while compared to other countries. 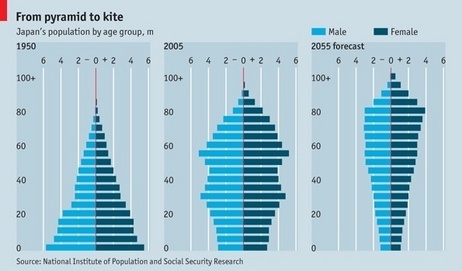 But over the next 5 years, as the baby boomers retire, structural ageing will become more obvious. There will be 100,000 people exiting the work force over the next 5 years. In just 12 years we will have more people aged over 65 than people aged under 15. As a country, we are incredibly lucky that the pattern of population ageing for Maori is radically different from Pakeha (graph below). This may protect us as a country from some of the shock of the change. This is the picture at a national level, but it doesn’t tell us the full story as there are already significant differences between regions in New Zealand. In about 7% of Territorial Authorities (TAs) have 20% of the population is aged over 65; by 2026 that will be closer to 75% of TAs. Currently, almost 40% of TAs have more people exiting the labour force than entering it and this will grow to around 70% within five years. This pattern will be even more noticeable in other high income countries, which will further globalise the labour market. This means young people with qualifications will pretty much be able to go anywhere and ask for whatever they want, and soon there will be a likely drop in tertiary education attendance as qualifications won’t be required any longer to get a job. If we are to keep our young people in the country, and prepare those in their 30s for the much faster promotion trajectory, we need to increase our investment in social support and education while we have the tax base to do it. And let me be clear, extending youth rates and fire at will legislation, attacking welfare provisions and reducing the real investment in education etc etc, will not create a generation of young people who feel valued and loyal.